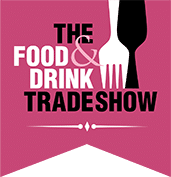 A unique blend of inspirational speciality food & drink products, from a wide range of exhibitors; from the small and regional, to those who trade throughout the UK and internationally. Why visit? A few hours will help you to find unique and exclusive new products from passionate, local producers. Come and hear their stories that you can then pass on to your customers. See live demonstrations in the show’s demo kitchen. Find inspiration and ideas to differentiate yourselves from your competitors, and profit as a result!